Tiffany Winegar is a Licensed Associate Marriage and Family Therapist and specializes in couples therapy, family therapy, anxiety/depression, self-esteem/self-actualization, perfectionism and teen/adolescent girls. Tiffany received her Masters degree in Marriage and Family Therapy (MFT) from Brigham Young University, one of the top MFT programs in the world. Prior to, and during her masters program, Tiffany was mentored by world-renowned social relationships psychologist, Dr. Julianne-Holt Lunstand and worked as a member of her research team studying social relationships and health. 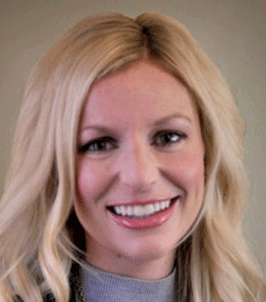 In addition to her work with Dr. Holt-Lunstad, Tiffany has been involved in additional research in the field of health psychology including the study of stress and emotional regulation. She is passionate about applying the principles from her clinical training and research to improve the lives and relationships of her clients. Tiffany is a member of AAMFT (American Association of Marriage and Family Therapy) and NCFR (National Council on Family Relations). Tiffany grew up in Southern California and now resides in Draper, UT with her husband and two boys.